I mentioned yesterday that I was experiencing a strange vibe about all of this flux in the stability of the global climate. Now I will tell you why. To begin, here we are facing numerous, numerous weather extremes everywhere. Let’s break it down: Record scorching heat in Australia, snow in the deserts of the Middle East, record cold and precipitation across Europe, hundreds of earthquakes in the last 48-72 hours in the South Pacific, record historic blizzard about to hit the Northeast United States,… now anyone can see that these extremes are not normal and furthermore, why are they all happening at once? This is where this feeling inside me comes from. Is it intuition? Has my awareness grown to the point to which I am now experiencing vibes that are warning me of impending danger? Or maybe I am just insane? I suppose time will reveal the truth of that won’t it? I am quite self-knowledged and self-aware, so I feel that the depths of my insanity are relatively shallow when compared to the madness of the masses. Therefore, what can all of this bizarre weather mean? Is something big coming, coming for us all? I have already answered that and the answer for those of you who missed it is… YES. Something is definitely coming, coming fast and arriving very soon. I would like to be positive, but that is not real. What is real is that all of us are about to experience something unprecedented in our known history. Now I know that the unknown has been programmed to instill fear in all of you, but we must not give in to fear, we must not be afraid. This great change is needed and inevitable… embrace it. We all die and move on, it’s only a matter of when and how. So if it is death encroaching, fear not. What else is there to worry about? You will all have to make the choices for yourselves as to how you all get through this great change to the other side. Will you end up enslaved, will you end up ascended, where will you end up?… That is up to everyone individually. There is nowhere to run, nowhere to hide, no bunker will protect you from what is coming, and that is why it is futile to be fearful. Think of it as a big surprise, something new none of us were expecting, something that will enlighten and evolve you rather than destroy you. I cannot define what is that is coming, I am only sensing it’s approach. Whether you believe me or not is irrelevant, this is happening, this is real, and this is coming for us right now. This is truly our final second of our final minute of our final hour. This is not meant to scare you, there is no paranoia or mongering here, I am only translating the nature of this reality for all of you to understand. I would rather you all read this and hate me and be ready than to not know and be blinded by your own ignorance. No matter what you think of your narrator, if you are still reading, you are now aware and I have fulfilled my role as interpreter for all of you. The only way to be ready for this is inside yourselves. 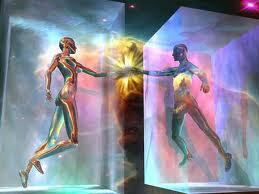 You must become One with your Higher Self and the boundless energy of the Infinite Love inside of you. That energy is all you have, all any of us truly have, our only real protection and guide for what is coming. Stay informed everyone. Stay alert and be safe. Keep those eyes wide open. Any minute now… it comes… no fear… love to all.